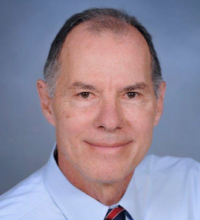 Dr. James Studnicki was most recently the Irwin Belk Endowed Chair in Health Services Research, and Professor of Public Health Sciences, at the University of North Carolina, Charlotte, College of Health and Human Services. He was the first Director of the Master of Health Science (M.H.S.) Program in Health Finance and Management at the Johns Hopkins School of Hygiene and Public Health, where he served as a faculty member for 13 years. Subsequently, he was Chairman, Department of Health Policy and Management and, Director, Center for Health Outcomes Research, at the University of South Florida Health Sciences Center. He has also been a senior hospital executive and President of a technology company which was started in a University incubator. Dr. Studnicki’s research has focused on the use of large scale databases, and associated information technology, in analyzing outcomes at the patient, hospital and community levels. He has been a frequent contributor to the health services research and public health systems and services research literatures. His publications have appeared in some of the most influential journals in public health, medical care and information technology/sciences. He is a winner of the Article of the Year award given annually by the Public Health Systems Research (PHSR) interest group of Academy Health. Dr. Studnicki holds both Doctor of Science (Sc.D.) and Master of Public Health (M.P.H.) degrees from Johns Hopkins University and a Master of Business Administration (M.B.A.) degree from the George Washington University.